As we have now had two voyages of the Weekend Testers Americas cruise ship, I've had a chance to sit back and reflect a little bit. More to the point, I've had a chance to sit back and reflect on other people's reflecting :). For those who have shared their ideas, their insights and their opinions, thank you. We welcome your ideas and encourage you to keep sharing, as it helps us get better at doing this. 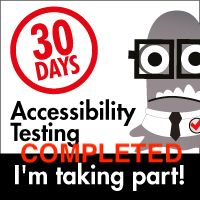 Here are a few details I've discovered in the two weeks that I've facilitated Weekend Testing Americas. No, really, I'm not blowing smoke or currying favor with this comment, the testers that participate in these events really are some of the most giving, intelligent, helpful, witty and focused people I've encountered online. Now, it's entirely possible that, by the very nature of these events, that they are on weekends, that they are worldwide, and that they are peer promoted, encourages those people that already fit this profile to show up. Lazy people do not tend to give up their Saturday or Sunday to practice testing. Even with that, the caliber of the people that show up to these events makes me smile, and encourages me that there are some very bright and very giving people out there happy and willing to share their knowledge. I live in the San Francisco Bay Area, one of the most technologically advanced areas on the planet, and it has a pretty darned good Internet infrastructure. I was able to download the applications I tested the past two weeks within 30 seconds, and install them within 5 minutes. I mistakenly assumed that my experience would be similar to most people, and that, given enough lead time, others would be able to download the apps in advance as well. I neglected to realize that those who were attending from other countries do not necessarily have the same infrastructure in place that I do, and subsequently, even with the advance notice, were not able to get the applications in time. Needless to say, I have developed a greater appreciation for testing web apps and smaller applications. My goal was to have more open charters. Why restrict people to a very narrow charter? They're professionals, give them something broad to explore. Well, after two weeks of charters that were fairly broad, I've come to appreciate the phrase "herding cats" a lot more (LOL!). It's not the testers' fault, it's mine. I ask for broad charter ideas and then wonder why I can't focus the conversation. Why should they, I gave them permission to roam all over the place, so of course their experiences are going to be all over the map, too! More narrow Charters are not a constraint... well, yes, they are, but I'm seeing them as a somewhat necessary one. It helps keep the testers on track and the presenter on message, and that's not a bad thing at all. 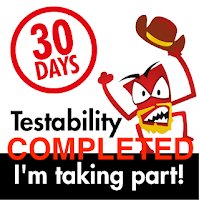 Having come from teaching the Association for Software Testings BBST classes, I somewhat expected that I would be able to use the same approach for Weekend Testers. Well, some things, yes. The ideas and concepts, yes, but the delivery method is entirely different. In the AST classes, people have days to absorb and consider input, and it's done in an asynchronous messaging format. In WT, the time box is much shorter; one hour to test, one hour to discuss the testing and objective, and all of the conversation is happening in very close to real time via chat protocol. So the same techniques that work in one will not necessarily work in the other. This hasn't actually been an issue per se the past couple of sessions, but I think that has to do with the sheer number of participants. The first time we had 21 people participating, so there was barely a quiet moment. The second session had 13 participants, and likewise, not many quiet moments there, either. However, that still doesn't mean that everyone is participating or getting a chance to share ideas and what they have learned. Therefore it's important to give people a chance to answer directly to questions. Often the quiet person in the room may have an insight that's really great, and others will take off with that comment and expand on it, in ways the original commenter may not have considered (or the moderator for that matter ;) ). To all of the testers who have been participating in these Weekend Testing activities, really, we appreciate your feedback immensely, and we are learning from each and every one of you, so please keep participating and please tell other testers about these events when we have them. We will be taking a break this week since it's the Thanksgiving holiday in the U.S., and a lot of people will be traveling (me included), but we have plans to get back together again on Saturday, December 4th. Once that is confirmed, we will let everyone know and we will give everyone a chance to get whatever they might need to participate. We have enjoyed these first few voyages, and we hope there will be many more to come :). Two voyages have been wonderful experience but I miss the continuity in conversation after the event has taken place. We need to open up a forum so that people can explore the points/issued raised during the session through a chat with the individual tester and get better insight about the technique(s) used by individual tester. I would also prefer the session to start half an hour late so that it does not conflict with other weekend activities. Weekend Testing has a forum section that could be used for this very purpose. I think it would be well suited for these types of discussions. Thanks for the suggestion :).